Please enter your information below and you will promptly be provided with an email containing an easy-access link to your custom advisor site. 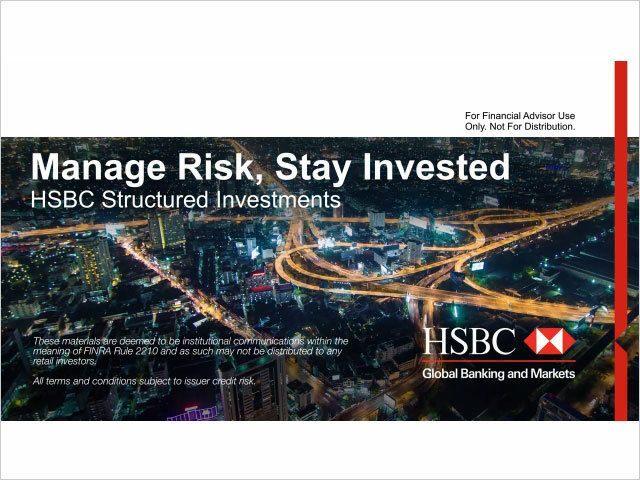 HSBC Structured Investments offer you and your clients an alternative to traditional long-only investments. 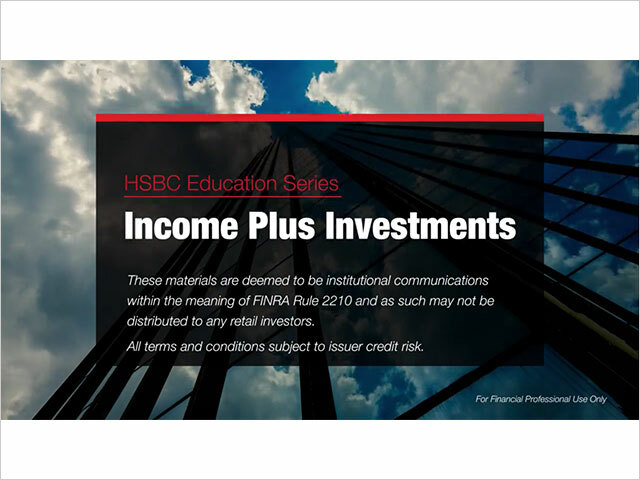 HSBC Structured Investments present a unique risk-return to help clients achieve their investment objectives, such as risk management for retirement, periodic income to manage cash flow and debt, and the potential for enhanced returns. In today's dynamic and ever-changing financial markets, investors face a growing number of challenges in achieving financial security and comfort. You can't trust your client's hard earned money to just any big name bank. 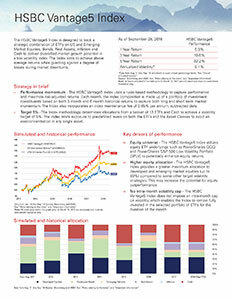 HSBC is the recognized leader of U.S. retail structured products. Based on the industry benchmark survey by Greenwich Associates, HSBC was voted the leading provider of structured products to U.S. retail clients for 9 consecutive years and ranked #1 in Overall Market Penetration and #1 in Quality. A retiree seeking to maximize their retirement savings but can't afford the full risk of the markets may invest in HSBC Market Linked CDs to take advantage of market potential with an instrument that is FDIC Insured. HSBC Structured Investments allow your clients to access the potential of the markets in a way that suits their risk tolerance. With HSBC Structured Investments, you give your clients the potential of achieving above market interest payments in low interest rate environments, while managing their risk. HSBC Structured Investments provide security for your clients while giving them access to the potential upside of market performance. 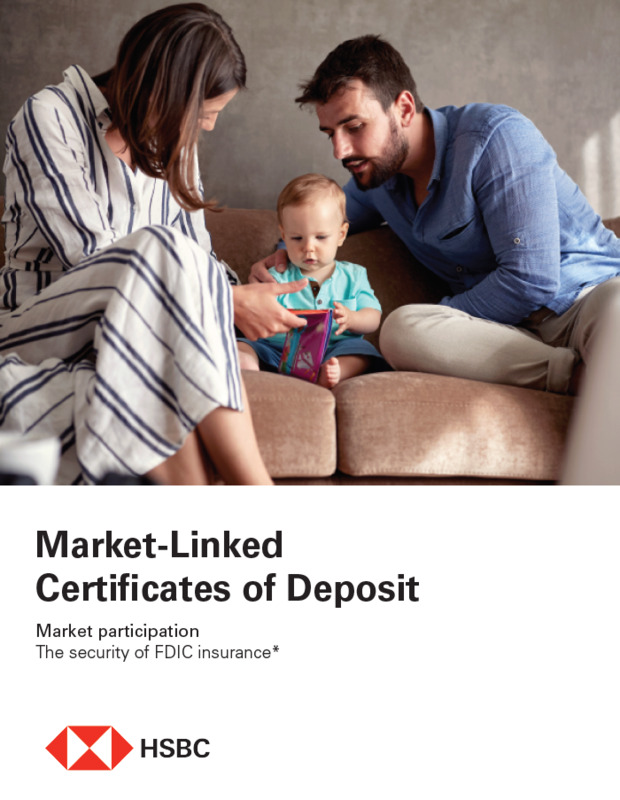 Market-Linked CDs offer investors the potential to earn enhanced returns with the security of FDIC Protection, up to applicable limits, while Market Linked Notes may offer full or partial protection at maturity. HSBC Structured Investments are linked to a variety of markets, such as US, Emerging Markets, and Global Equity Indices. These investments enable your clients to enter markets that might be otherwise difficult to access in a way that may provide downside protection. Access to the Advisor Center provides you with a robust array of resources to enrich your investment practice and help you accurately answer your clients' questions. In the industry’s benchmark survey of U.S. retail structured products distributors conducted by Greenwich Associates, HSBC maintained its position as the leading provider of structured products to U.S. retail clients. 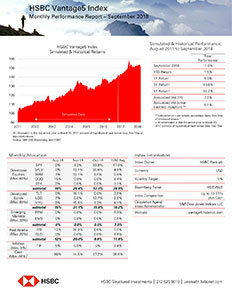 HSBC has been the Greenwich Quality Leader for U.S. Retail Structured Products from 2010-2018, and the Greenwich Share Leader from 2010-2012, 2014-2018. 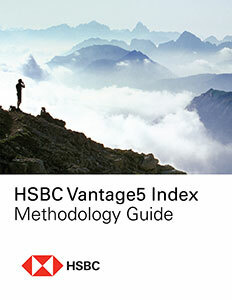 HSBC USA receives strong ratings from the major credit rating agencies. * Source: Bloomberg, as of March 13, 2019. Rating listed is "LT Local Issuer Credit" for S&P, "Senior Unsecured Debt" for Moody's & Fitch. 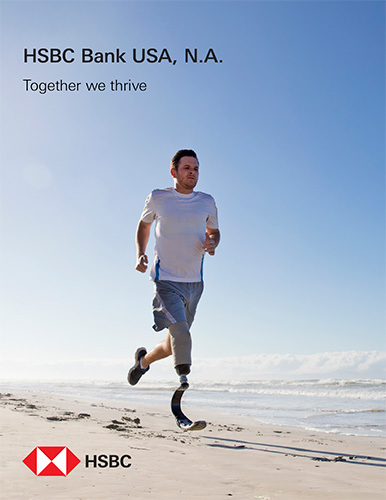 HSBC Bank USA, N.A.’s primary source of funds has been and continues to be customer deposits. We focus on our long-term relationships with clients who have benefited from using multiple HSBC products, as these funds tend to be more stable than nonrelationship funds. HSBC has traveled a long way since its beginning in 1865 - from a small local bank to a leader in global banking and finance with a strong presence in the United States. Today, we believe that being part of a global organization brings strengths that benefit our clients - combining the advantages of worldwide presence and scale with local knowledge and service. © Copyright. HSBC Bank plc 2019. All rights reserved. 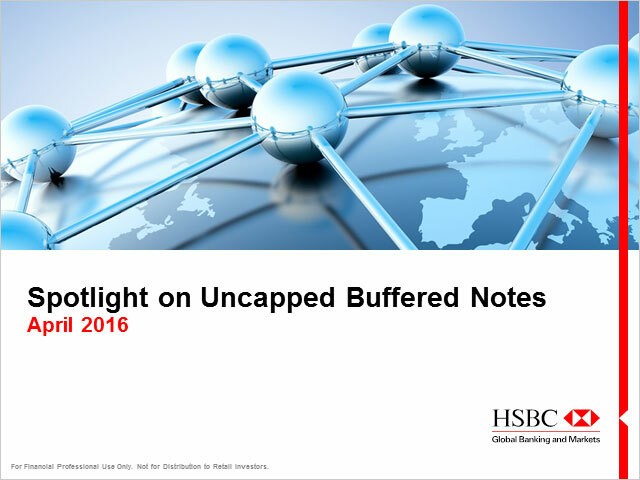 The returns on HSBC structured investments are linked to the performance of various market measure underliers. Investing in a structured investment is not equivalent to investing directly in the underlier. 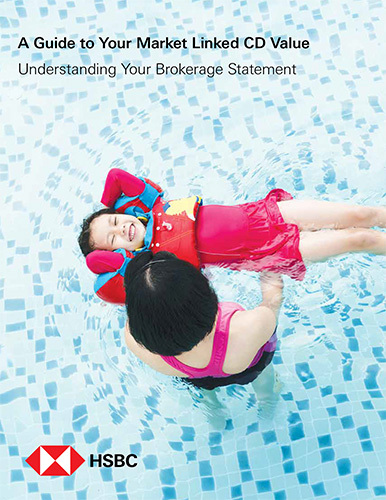 Before investing, clients should carefully read the offering documents for the specific issuance, which will explain the terms of the issuance as well as the risks related to the issuance. 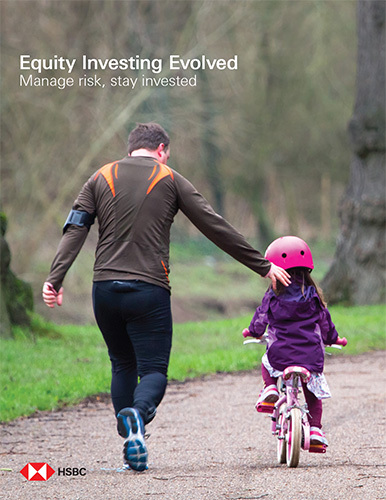 An investment in structured investments involves risks. These risks will depend on the terms of the specific issuance and the nature of the underlying market measure and could include: fluctuations in the price, level or yield of the underlier, changes in interest rates, currency values or credit quality, substantial or complete loss of principal, limits on participation in appreciation of the underlying instrument, limited liquidity, exposure to HSBC credit risk and certain conflicts of interest. HSBC operates in various jurisdictions through its affiliates, including, but not limited to, HSBC Bank USA, N.A. and HSBC Securities (USA) Inc., member of NYSE, FINRA and SIPC. HSBC has filed a registration statement (including a prospectus, a prospectus supplement and an equity index underlying supplement) with the SEC for the securities offerings to which this document relates. Before you invest, you should read these documents in that registration statement and other documents HSBC has filed with the SEC for more complete information about HSBC and those offerings. You may get these documents for free by visiting EDGAR on the SEC's web site at www.sec.gov. Alternatively, HSBC Securities (USA) Inc. or any dealer participating in this offering will arrange to send you these documents if you request them by calling toll-free 1-866-811-8049. By accessing the pages of this website other than the HSBCnet E-Channel (the 'Site'), you agree to be bound by the Terms and Conditions. If you register to access the HSBCnet E-Channel, your use of the HSBCnet E-Channel shall be governed by the HSBCnet E-Channel Terms and Conditions. Before using this Site, you should read carefully the Terms and Conditions. This Site is operated by HSBC Bank plc. HSBC Bank plc is incorporated in England and Wales and established at 8 Canada Square, London E14 5HQ which is its registered office. HSBC Bank Plc is authorised by the Prudential Regulation Authority and regulated by the Financial Conduct Authority and the Prudential Regulation Authority (Registration Number 114216). HSBC Bank plc's registered VAT Number is GB 365684514 and its Company Register Number is 14259. HSBC Bank plc is a member of the Financial Ombudsman Scheme and subscribes to the Banking Code and the Business Banking Code which may be accessed at http://www.lendingstandardsboard.org.uk. References to 'you', 'your' and 'yours' are references to you, the person(s) accessing this Site. References to 'we', 'us' and 'our' are references to HSBC Bank plc. References to the 'HSBC Group' means HSBC Holdings plc, its subsidiaries and associated companies from time to time. References to 'HSBCnet E-Channel' are references to the secure pages of this website which require a username and password in order to access them. References to 'HSBCnet E-Channel Terms and Conditions' are references to the terms and conditions which govern the use of the HSBCnet E-Channel. References to 'market information' on this Site refer to market and research related services. Market information includes, but is not restricted to, global research, bonds offerings, market data, market commentary and trading ideas. References to 'Terms and Conditions' shall mean the General Terms and Conditions and the Specific Terms and Conditions (each as defined below). The terms and conditions in this document shall be referred to as the 'General Terms and Conditions'. If you are accessing this Site from any of the countries listed under the section 'Country Clauses', your use of the Site may be subject to additional terms and conditions ('Country Clauses'), which shall be deemed to be incorporated in the General Terms and Conditions. These can be viewed by clicking the link to the relevant country listed below. From this Site we may provide information or hyperlinks to other websites or pages which may be subject to their own specific terms and conditions including disclaimers ('Specific Terms and Conditions'). Note that particular products and services provided by any member of the HSBC Group may have their own terms and conditions which will form the legal agreement between you and that member of the HSBC Group. You should carefully read such terms and conditions before obtaining the product or service from that member of the HSBC Group. We may change the Terms and Conditions at any time by updating these pages. You agree to review any applicable terms and conditions regularly and that your use of any part of this Site will be subject to any such changes once they are made. The content, including layout, of this Site or products or services available via this Site may be wholly or partially suspended, withdrawn or changed at any time. We reserve the right at any time to immediately suspend the provision of all or any part of this Site to you and/or block your access to this Site. Not all the products and services that you may be able to view via the Site are available in all geographical locations. The relevant HSBC Group member reserves the right to make the final determination on whether or not you are eligible for any particular product or service. Market information services are not intended to provide professional advice and should not be relied upon in that regard. Persons accessing these pages are advised to obtain appropriate professional advice where necessary. No consideration has been given to the particular investment objectives, financial situation or particular needs of any recipient. Market information is not and should not be construed as an offer to sell or the solicitation of an offer to purchase or subscribe for any investment. Market information is obtained from sources believed to be reliable but which has not been independently verified; no guarantee, representation or warranty is made and no responsibility or liability as to its accuracy or completeness is accepted. Expressions of opinion are those of HSBC only and are subject to change without notice. Information or opinions contained on this Site do not constitute an offer to sell or a solicitation, or offer to buy, any securities or financial instruments or investment advice or any advice or recommendation in respect of such securities or other financial instruments. The information on this Site is based on understanding of current law, regulation and tax practice at the time of going to press. Future changes in law, regulation, or tax practice could affect the information on this Site. Please note that the value of investments and the income derived from them may fluctuate and an investor may not receive back the amount originally invested. Where past performance is shown it refers to the past and should not be seen as an indication of future performance. The value and any income arising from any investment referred to on this Site may go down as well as up. In particular you may not get back the full amount invested. Where overseas securities are held, the rate of exchange may cause the value of the investment to go up as well as down. Any forecast, projection or target is indicative only and is not guaranteed in any way. We accept no liability for any failure to meet such a forecast, projection or target. Members of the HSBC Group and/or their officers, directors and employees may own or have positions in any securities mentioned in this Site (or in any related investment) and may from time to time add to or dispose of any such securities (or investment). 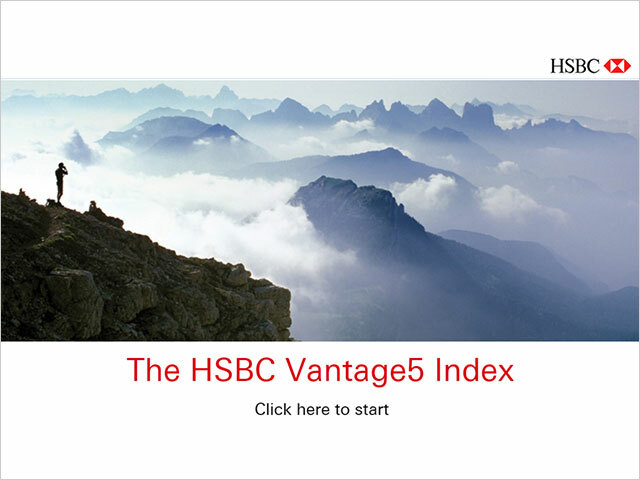 Members of the HSBC Group may act as market maker or have assumed an underwriting commitment in the securities of companies discussed in this Site (or in any related investment). HSBC may sell securities to or buy them from customers on a principal basis and may also perform or seek to perform investment banking or underwriting services for or relating to those companies. This material may not be reproduced or further distributed, in whole or in part, for any purpose. Other than the warranties and representations contained in the Terms and Condition, all other warranties and representations, whether express, implied or statutory are, to the fullest extent permitted by the law, excluded. The use of the Site is at your sole risk. While we have taken reasonable steps to ensure the accuracy, currency, availability correctness and completeness of the information contained on the Site, information is provided on an "as is" and "as available" basis. In order to use the Site or one or more parts of it, you may be required to become a registered user. In order to become a registered user you will need one or more of the following, namely, registered username, password, security device, other security identifier ('Password') in accordance with our procedures in place from time to time. You must tell us immediately of any unauthorised access to the Site using your Password or any unauthorised transaction or instruction which you know of, or if you suspect someone else knows your Password. You are wholly responsible for use of the Site by any person using your Password. We reserve the right to suspend access to the Site in the event that we suspect that an unauthorised person is attempting to access the Site using your Password. Where we provide hypertext links to other locations on the internet, we do so for information purposes only. We are not responsible for the content of any websites or pages of third parties linked to or from this Site. Following links to any websites or pages of third parties shall be at your own risk. We shall not be responsible or liable for any damages or in any other way in connection with such linking of those websites or pages. Links to third party downloadable software sites are for convenience only and we are not responsible nor are we liable for any difficulties or consequences associated with downloading that software. You are responsible for obtaining all necessary authorisations to use such software and we give no implied licence or warranty in relation to the obtaining of or use of such software whatsoever. No endorsement, approval or responsibility for appropriateness of any third parties or their advice, opinions, information, products or services is expressed or implied by any information on this Site or by any hyperlinks to or from any third party websites or pages. All intellectual property rights (including, without limitation, copyright, database rights, design rights, patents and trademarks) in this Site are owned by or licensed to us unless otherwise stated. HSBC and the hexagon logo are trademarks of HSBC Holdings plc and all rights and benefits in them vest in HSBC Holdings plc. You may print, copy, download or temporarily store extracts from this Site for your personal use or to help you use our products and services. You must not alter any extract obtained from this Site in any form. Any other use is prohibited unless you first get our written permission. Without limiting the above, unless you first get our written consent, you may not reproduce, modify, adapt, transmit, publish, broadcast, create derivative works of, store, archive or in any way exploit all or any part of this Site. Neither we nor any other member of the HSBC Group are responsible for any such messages nor liable to you or anyone else for any damages or otherwise in connection with any messages sent by you to us or any other party or any messages sent or appearing to be sent by us or any third party to you over the internet (including e-mail). You should not include any sensitive or confidential information in such messages. Any notice to be given under these Terms and Conditions must be communicated by post, telex, email or facsimile to the address most recently notified by the receiving party. Receipt of notice shall be deemed to occur at the time when the notice would in the ordinary course be delivered or transmitted. If any part of these Terms and Conditions is found by any court or other competent authority to be invalid, unlawful or unenforceable then such part shall be severed from the rest of such terms which shall continue to be valid and enforceable to the fullest extent permitted by law. To the extent permitted by law, neither we nor any member of the HSBC Group shall be liable for any damage, loss or liability (whether arising in contract, tort, including negligence, or otherwise) arising out of or in connection with (a) your use of this Site; (b)your reliance on or your inability to use the information, products or services on this Site; and/or (c) any failure in performance, error, omission, interruption, defect, delay in operation or transmission, computer virus or line or system failure to this Site or your use or attempted use of it. The above exclusions apply to any damage which is direct, indirect, special, incidental or consequential or consists of loss of profits, business, opportunity or data. All of the above exclusions apply even if you have advised us or any other member of the HSBC Group of the possibility of the above types of damage, loss or liability. Nothing in these terms shall exclude or limit the liability of any member of the HSBC Group in relation to fraud, personal injury or death. These Terms and Conditions are governed by and are to be interpreted in accordance with the laws of England and Wales. The courts in England and Wales will have non-exclusive jurisdiction in respect of any dispute which may arise in connection with the Terms and Conditions or your use of this Site. If you wish to contact HSBC Bank plc, please refer to the Contact Us link which can be found on each page of the Site. HSBC will not disclose the information to any external organisation unless HSBC have customer consent or are required by law or have previously informed the customer. 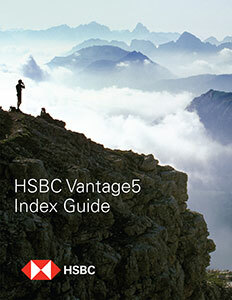 HSBC aim to keep the information up-to-date. HSBC maintain strict security systems designed to prevent unauthorised access to the information by anyone, including HSBC staff. HSBC has filed a registration statement (including a prospectus, a prospectus supplement and an equity index underlying supplement) with the SEC for the securities offerings to which this document relates. Before you invest, you should read these documents in that registration statement and other documents HSBC has filed with the SEC for more complete information about HSBC and those offerings. You may get these documents for free by visiting EDGAR on the SEC’s web site at www.sec.gov. Alternatively, HSBC Securities (USA) Inc. or any dealer participating in this offering will arrange to send you these documents if you request them by calling toll-free 1-866-811-8049.